With 100 laps to go, it was going to take a wild one for Gus Dean to find Victory Lane. Elko Speedway delivered. Dean, who alongside Joe Graf Jr. stayed out on a lap 59 caution on old tires, found himself two laps down inside of 100 to go after he spun around lap 153, a victim of overly worn tires. However, a rash of late race cautions made that tire strategy pay off; coming from 11th, Dean ran down Chase Purdy, and on the final restart on lap 246 drove hard under Graf, bumping to a lead he’d never relinquish. Dean’s win came in a Chevrolet, the first non-Toyota entry to win an ARCA race in 2018. Christian Eckes, Graf, Riley Herbst and Natalie Decker rounded out the top five. Purdy escaped injury after a scary late-race incident; on lap 241, his car literally exploded in Turn 4 after a broken driveshaft ignited oil in the rear end of the car, per a report from arcaracing.com. Purdy, who was slammed hard by a spinning Eddie Fatscher while on fire, managed to get out of the car under his own power before the fire crews arrived. The ARCA points race saw a minor shakeup, with Zane Smith picking up approximately 25 points on leader Sheldon Creed, who suffered his first DNF of 2018 with mechanical failure. Creed still leads by nearly a full race over second place Smith. Gus Dean ended up relying on the fenders more than he probably wanted to after muffing the final restart on lap 246, but the fact that the No. 32 car was in position to win was a testament to his skill behind the wheel. Dean, coming back from two laps and 11th place to win on a 3/8-mile oval in less than 100 laps was extremely impressive, and a drastic departure from his last ARCA win at Talladega last April. 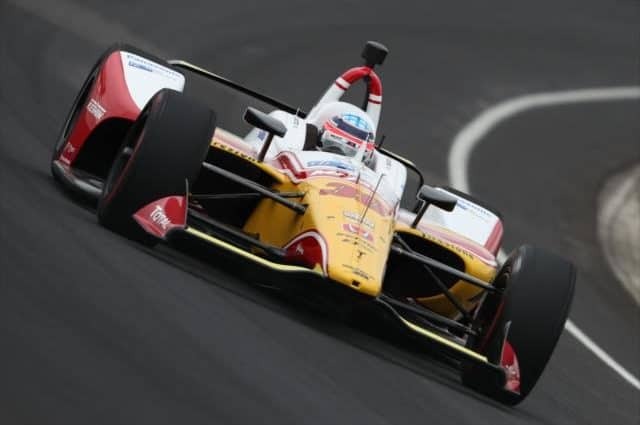 The win was also a feather in the cap of crew chief Jamie Jones, who told reporters under the red flag that the team chose the inside line for the restart because they wanted the option to use up Joe Graf’s No. 77 instead of being used up on the high side…which is exactly what this race came down to. As the MavTV crew also noted, the win was huge for Win-Tron Racing, whose owners have strong ties to the Minnesota region. On a night where powerhouses Venturini Motorsports and MDM Motorsports each had their troubles, Win-Tron capitalized. Joe Graf Jr. came up on the short end of the stick among drivers that used Dean’s tire strategy, but his performance also deserves recognition; prior to the red flag stoppage on lap 241, Graf was catching Dean for the race lead, and also of note that during the race run where Dean fell two laps down and spun on old tires, Graf stayed on the lead lap with the same rubber. Working under veteran crew chief Paul Andrews is paying dividends for Graf, who as a former Bandolero racer at Elko enjoyed a strong homecoming. Riley Herbst was forced to start at the rear of the field after flat-spotting a tire during qualifying Saturday afternoon and easily won the hard charger award, battling to fourth by race’s end. More encouraging for the No. 18 team, this performance came at a track where crew chief Bootie Barker’s NASCAR background wasn’t readily available to lean on. Solid rebound from last week’s wreck at Iowa. Natalie Decker’s first race with 10-time ARCA champion Frank Kimmel couldn’t have gone much better (outside of spinning Sheldon Creed around lap 177). Decker, at a track where she’s had previous experience, scored her first top-five result since Daytona. Robert Bruce rebounded from an early race spin to score his first career top 10 finish driving as a teammate to Willie Mullins. Travis Braden came back from a lap down to finish seventh, the best short track result of the year for the No. 27 team. Christian Eckes finished runner-up after winning his first career ARCA pole. Points leader Sheldon Creed saw a streak of five consecutive podium finishes come to an end at Elko, first with a spin on lap 177, then smoking heavily out of the rear end of the No. 28 before pitting under yellow around lap 189 and parking the car. Creed, who told MavTV he had either a rear end or transmission break to park the car, endured his first DNF in 13 races this season. However, the damage done by this run was contained. Because MDM Motorsports teammate Zane Smith also fell victim to mechanical gremlins, though of a different kind. Smith, who started on the outside of the front row, dropped backward from the drop of the green flag, falling outside the top five inside of 30 laps before the team would diagnose the problem under yellow as a broken sway arm bolt. Smith limped the No. 41 around for the rest of the evening, finishing seven laps down in 12th, his first finish outside the top five on a short track since breaking a transmission at Winchester last August. Eddie Fatscher seemed to have a top-five finish locked up in his final scheduled start with Venturini Motorsports, but that disappeared after making hard contact with Chase Purdy’s crippled car on lap 241 (more on that later). Fatscher, who was running in the top five for much of the race’s second half, got caught up in the melee in Turn 3 trying to avoid Purdy and ended up broadsiding the rear end of the No. 8. Fatscher was able to finish on the lead lap, but ended up ninth in the final running order, the last car on the lead lap. Chandler Smith was again among the class of the field on Saturday night, leading the most laps and in contention for the win. However, the methodical patience that has made Smith a dominant force even at 16 years old disappeared around lap 224, when while battling with Chase Purdy for the lead the No. 20 spun underneath Purdy in turn 1, clipping the infield grass. Smith and Purdy both staged a heated battle with lots of contact, and Purdy was proving extremely effective in using the high lane to keep Smith’s lower groove from prevailing, but with more than 20 circuits to go in the race Smith was not yet in a position to have to force it as he did on lap 224. Smith would still finish sixth, continuing a six-for-six streak of top 10 finishes. Chase Purdy has been on fire since defending ARCA champion Austin Theriault started driver coaching him, and Saturday night looked like a first ARCA win was finally in the cards. When Purdy held off Chandler Smith on lap 224, it almost looked like the No. 8 team was home free. However, as Gus Dean capitalized on tire strategy and got past the No. 8 around lap 237, Purdy got tagged hard in the rear end by Graf, whose No. 77 got into the gas in Turn 4 extremely early. Four laps later, Purdy, who was running third, saw his car literally burst into flames entering Turn 3, forcing the No. 8 to a dead stop in the corner, getting tagged hard by Fatscher’s No. 55 before Purdy could exit his race car. On a night where the No. 8 team was finally the class of the MDM team, bad luck struck again. This weekend marked the first time I was able to watch a MavTV broadcast of an ARCA race. The image quality and camera work were first-rate, but there is an issue to be worked out about commercials. If something important happens, be it a lead change or a caution, while under a commercial break, there’s got to be a replay made available immediately. It’d also be a welcome addition to have the commentators reference the lap on which either a lead change or caution occurs. Those flaws aside, ARCA could do a lot worse for coverage of its non-companion races. 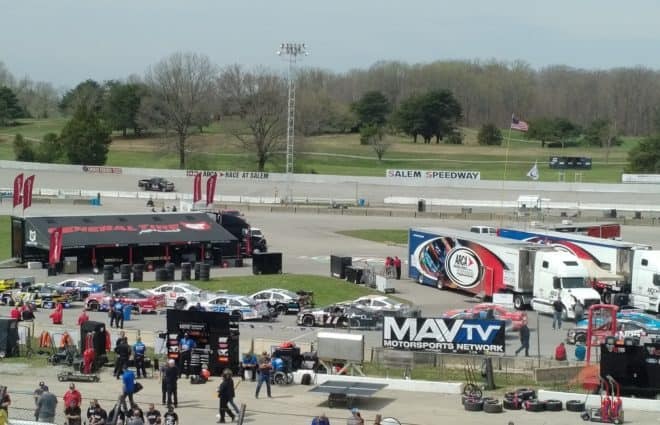 One other item of note, assuming ARCA comes back to Elko in 2019 (and they damn well better, the last 50 laps of this race were absolutely fantastic), the system in place for dealing with speedy dry being dropped on the track needs to be revisited. Though multiple trucks with sweepers on the front did make passes over speedy dry when dropped, both when Sheldon Creed had his issues and after Chase Purdy’s fire, the material on the track appeared to impact the lower line’s ability to restart on both occasions; Chandler Smith endured his worst restart of the night around lap 194 as speedy dry could be seen in a cloud behind his car, while Dean got a terrible jump on the lap 246 final restart, forced to use the old “eight tires are better than four” strategy to pull away for the win. It didn’t decide the race by any stretch. Smith spun out of contention on his own and Dean would have used up Graf anyhow…but this is an easy spot for improvement. Speaking of those last 50 laps, it’s hard to put into words, but that was short-tracking at its finest. Beating and banging with no dirty driving. 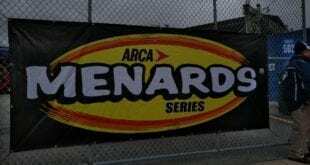 This may have been the best show ARCA has put on in 2018. Next Up to Speed: Can Ryan Blaney Turn the Tide as the Playoffs Approach?